Whether it's making family mealtimes easier, organising school lunches, sharing cleaning hints or great new recipes, we're here to help make life in a busy household just that little bit easier. Better Living everyone. Keeping food fresh longer is essential to everyone. 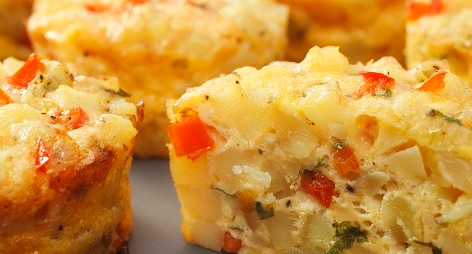 For over half a century, we’ve been creating innovative ways to protect and store food around the world. It’s a heritage we’re proud of and expertise you can count on. Whether you wrap it, bag it, contain it or line it — we’ve got food covered… and protected. We’re GLAD®. MONO® is a heritage, unique New Zealand brand helping Kiwis cook since 1965. The MONO® range consists of Foil, Paper, Oven and Element Liner products for use around the kitchen and barbeque. Use MONO® for superior cooking, baking, and barbeque results as well as a hassle-free clean up afterwards. 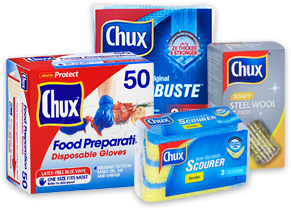 CHUX® offers an extensive range of quality cleaning accessories to help you tackle any cleaning challenge around your home. 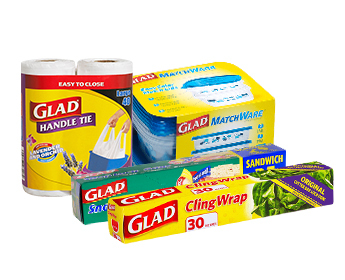 We are constantly innovating to bring you products that help you clean more effectively, in less time. No matter your preferred cleaning routine, no matter the mess ... there's a CHUX® for whatever life CHUX® at you. For generations New Zealanders have trusted Handy Andy® to keep their homes clean. 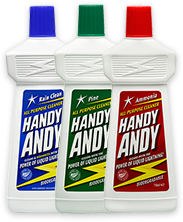 Handy Andy® with the Power of Liquid Lightning is a highly effective All Purpose Cleaner able to be used for a variety of cleaning jobs around the home including toilets, baths, showers & tiles.